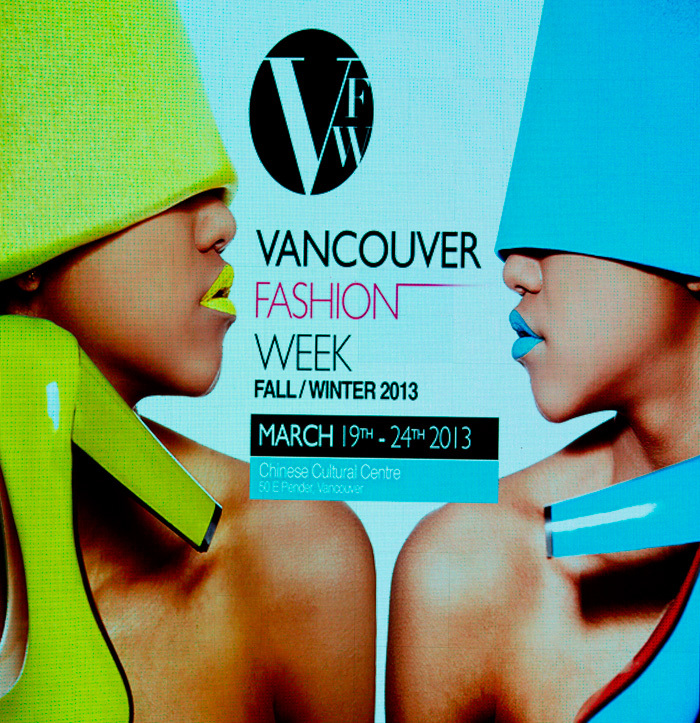 Well, Vancouver Fashion Week has come and gone once again. I was really impressed with the improvements that have been made to the production and am excited to see it grow and develop over the upcoming seasons. Ollie and I had just returned from our holiday, so we decided to miss the first two days and attend only on the Friday, Saturday and Sunday (days 3, 4 & 5). And to not stress ourselves out with attending the full days, we concentrated on the evenings since we knew that once we were in, we would stay. Based on this first night, we can deduce that 3 strong trends are here to stay: leather, peplum and fur. I say yes please to all three of these and thank you very much. Especially since I have a closet full of them! We didn't get the chance to take any outfit shots on Friday because we rushed over straight from work, but the shows that we caught were definitely worth it. 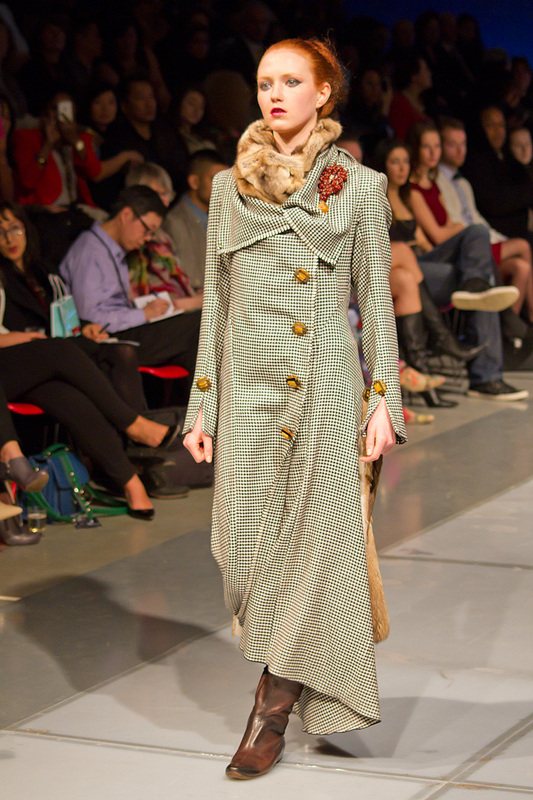 This collection had such a fun Scottish/Braveheart feel to it and I was so in love with the abundance of fur. So perfect for those cold winters. In fact, it was super freezing in the venue that night and I just wanted to jump into one of those pieces and cozy up. 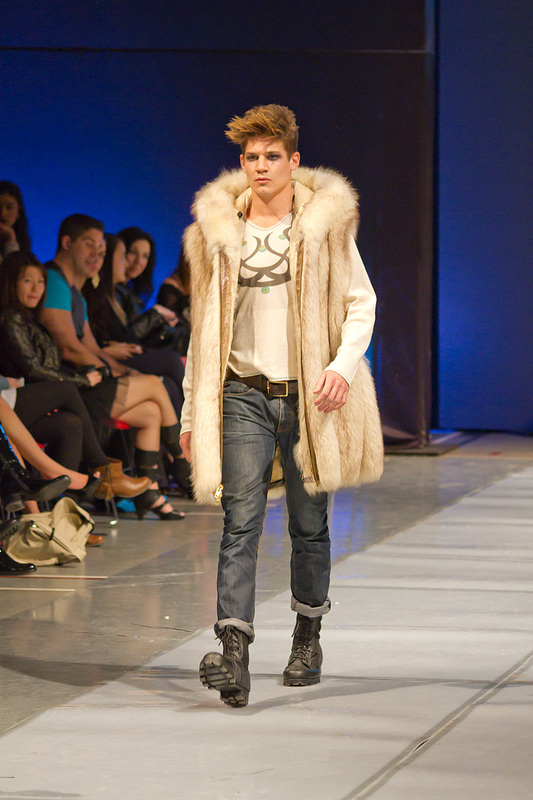 My favourite item was actually a fur vest worn by one of the male models. This was perhaps my favourite show of the week in terms of wearability. I love the Parisian-chic looks and I could personally see myself wearing any one of her designs. I especially love the fur and leather details on practically every look. This was the final collection of the evening and was a great way to end my first night. Most of Askarian's pieces has fuller and softer silhouette, but my two favourites were her more structured pieces. I especially loved her leather peplum jacket -- so gorgeous. Love all the fur pieces. I see lots of interesting pieces! thanks for sharing with us! These are so cool! That is so awesome that you are able to go to fashion shows. There are NONE where I live.